WILMINGTON, Del., April 11, 2019 (GLOBE NEWSWIRE) -- WSFS Bank has welcomed long-time advisors Christopher Reed and J. Porter Ginn to the Bank’s Wealth Management Group. Together, they bring over 25 years of experience in helping clients reach financial goals with customized wealth management solutions. Christopher Reed has joined WSFS Bank as Vice President of Client Management in Southeastern Pennsylvania. J. Porter Ginn has joined WSFS Wealth Investments as a financial advisor in Southeastern Pennsylvania. 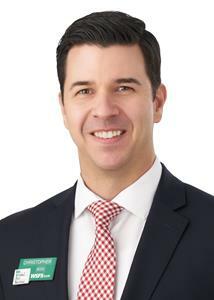 Mr. Reed joins WSFS Bank as Vice President of Client Management in Southeastern Pennsylvania. He specializes in developing credit and wealth management solutions for high-net-worth individuals. Prior to joining WSFS, Mr. Reed held positions with several financial institutions, including The Vanguard Group, Univest Bank & Trust in King of Prussia, and National Penn Bank in Berwyn. He is a graduate of California University of Pennsylvania where he received his Bachelor of Science in Psychology. 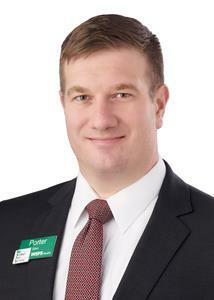 Mr. Ginn joins WSFS Wealth Investments as a financial advisor also in Southeastern Pennsylvania. In this role, he will assist WSFS Customers with developing financial strategies to help them reach their financial objectives. He joins WSFS from Charles Schwab where he was most recently a Vice President and financial consultant. Previously, he held roles at TIAA-CREF and Fidelity Investments. Mr. Ginn is a graduate of the University of Vermont with a Bachelor of Science. The Wealth Management segment at WSFS offers personalized solutions to help clients reach their financial goals, including personal wealth planning, trust services and brokerage and investments. WSFS Financial Corporation (Nasdaq: WSFS) is a multi-billion dollar financial services company. Its primary subsidiary, WSFS Bank, is the largest, longest-standing, locally-headquartered bank and trust company in the Greater Delaware Valley. As of December 31, 2018, WSFS Financial Corporation had $7.2 billion in assets on its balance sheet and $19.0 billion in assets under management and administration. On March 1, 2019, WSFS Financial Corporation completed the acquisition of Beneficial Bancorp, Inc. and its primary subsidiary, Beneficial Bank, and are now operating as one Company with approximately $13 billion in assets. WSFS now operates from 150 offices in Delaware (45), Pennsylvania (74), New Jersey (29), Virginia (1) and Nevada (1) and provides comprehensive financial services including commercial banking, retail banking, cash management and trust and wealth management. Other subsidiaries and divisions include Beneficial Equipment Finance Corporation, Cash Connect®, Christiana Trust Group, Cypress Capital Management, LLC, Neumann Finance Company, Powdermill Financial Solutions, WSFS Institutional Services, WSFS Wealth Investments, West Capital Management, and WSFS Mortgage and Arrow Land Transfer. Serving the Greater Delaware Valley since 1832, WSFS Bank is one of the ten oldest banks in the United States continuously operating under the same name. For more information, please visit wsfsbank.com.